This is 2 Corinthians 4:7. We are the vessel, Christ is the treasure. During my Bible reading I came to the phrase “the gospel of the glory of the blessed God” (1 Tim. 1:11). Since New Jerusalem has the glory of God, this phrase tells us that the gospel points toward or includes New Jerusalem. Soon afterwards I came to “peace as the gospel” (Eph. 2:17). Because Jerusalem means foundation of peace, this is another phrase linking the gospel and New Jerusalem. These two verses initiated this series of posts. 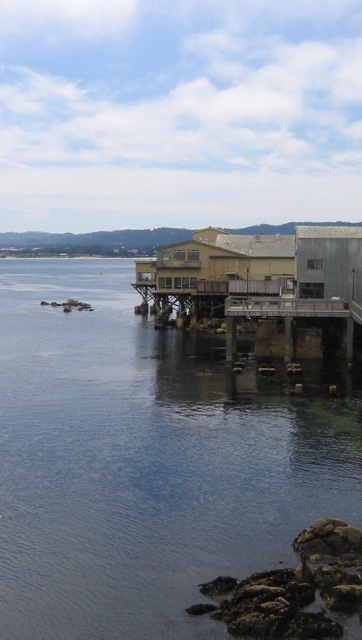 Gospel and glory are together in three verses (see the next post also). In 2 Corinthians 4 the essence of the gospel is Christ Jesus Himself (v. 5). God desires to shine into our hearts “to illuminate the knowledge of the glory of God in the face of Jesus Christ” (v. 6). This is “the illumination of the gospel of the glory of Christ” (v. 4). Apart from Christ Jesus, we cannot participate in the glory of God. But in response to the gospel, we believed and He shined into us. 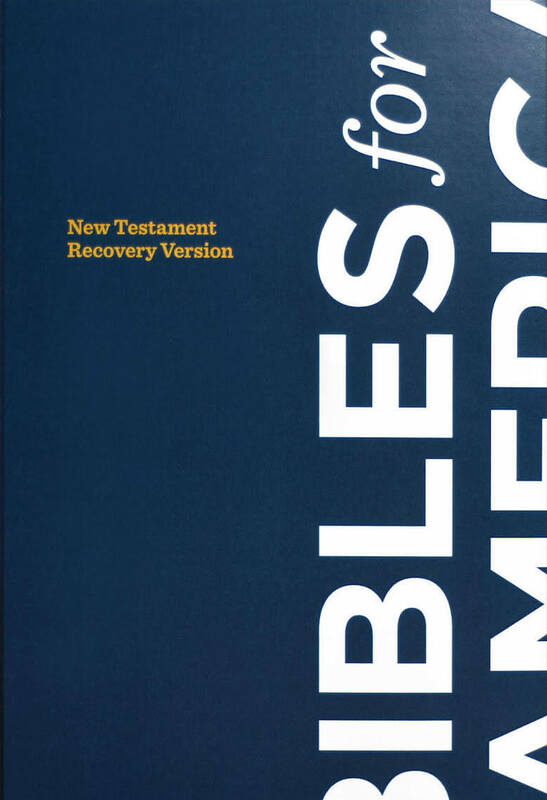 Now “we have this treasure in earthen vessels” (v. 7). We are merely earthen but He is the excellent treasure in us. Whenever we turn our hearts to Him and behold Him within, we reflect His glory, He grows and spreads within us, and we are transformed “from glory to glory” (v. 3:16, 18). The corporate consummation of this development and expression of glory is New Jerusalem. This is the goal of the gospel of the glory of Christ. New Jerusalem is a city of glory. The apostle John saw “the holy city, Jerusalem, coming down out of heaven from God, having the glory of God” (Rev. 21:10-11). “The city [New Jerusalem] has no need of the sun or of the moon that they should shine in it, for the glory of God illumined it, and its lamp is the Lamb” (Rev. 21:23). 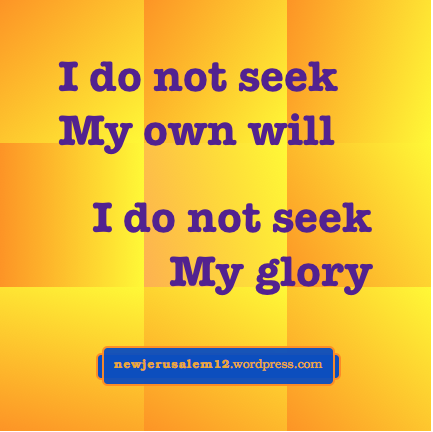 New Jerusalem has the glory of God because it is saturated with God and hence expresses God. This expression is not simple because God is marvelously rich. New Jerusalem expresses the innumerable aspects of God’s being. Each of us was created as a vessel to contain God. God has already prepared us for His glory, even for the riches of His glory. Each of us as an individual is very limited, but together we will display the riches of His glory. 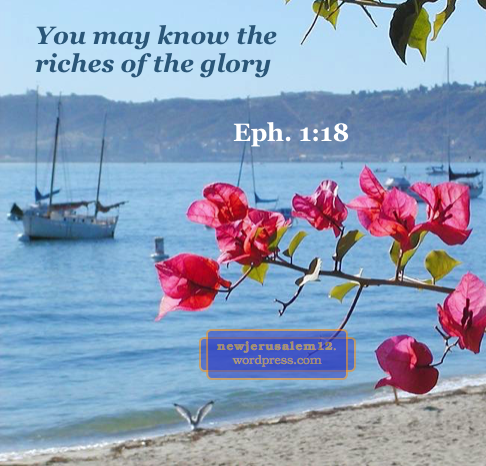 In Ephesians 1:17-18 Paul prayed that the Father of glory would give us a spirit of wisdom and revelation “that you may know…the riches of the glory of His inheritance in the saints.” These riches, like New Jerusalem, are not in the natural realm. This is why we need a spirit of wisdom and divine enlightening to see and know them. Colossians 1:27 says “God willed to make known what are the riches of the glory.” We need not struggle, unsure of what will happen. No. The revelation of the riches of glory is God’s desire and He will accomplish it. We cooperate by opening ourselves; Father, give me a spirit of revelation and enlighten my heart that I may see the riches of Your glory for now and for New Jerusalem. The Bible begins with human beings created by God as vessels of clay. The Bible ends with New Jerusalem built with precious materials and “having the glory of God” (Revelation 21:11). In ourselves, we do not match the city, so we cannot be part of it. But God has His plan. We are called vessels because we were created by God to contain God. When we receive Jesus Christ as our life, He enters into us. The result is “we have this treasure [Jesus Christ] in earthen vessels [us] that the excellency of the power may be of God and not out of us” (2 Corinthians 4:7). With coffee mugs, suitcases, flower vases, and other physical containers, the contents and the container remain separate. In contrast, God’s plan is that the contents mingle with the container. Jesus Christ, “the life” (John 14:6), is the contents. 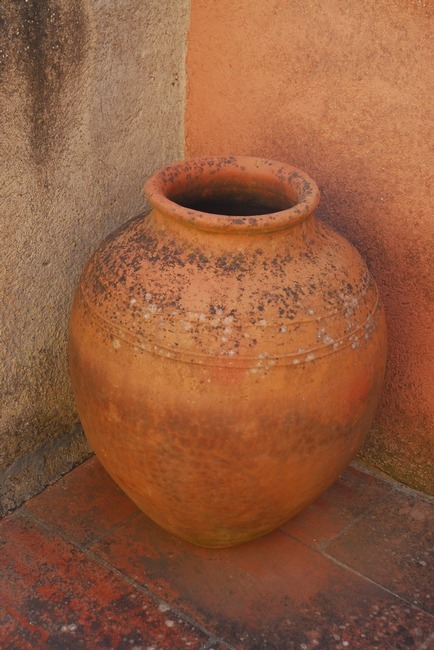 We, a tripartite vessel (1 Thessalonians 5:23), are the container. When He enters into us, our spirit, our innermost part, becomes life (Romans 8:10). When our mind is “of the spirit” then our mind also becomes life (Romans 8:6). Finally, to the extent that the Spirit dwells/lives in us, life is imparted to our mortal body (Romans 8:11). Eventually our entire being is full of life. This life is resurrection life, in contrast to the death which characterizes our “dusty” created being. This life, the life of New Jerusalem, brings us into resurrection and into glory to match New Jerusalem. 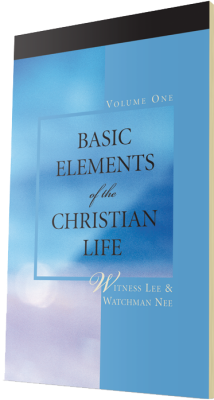 More about Christ as life filling our being is in two short tracts, The Purpose of Man and The Mystery of Human Life. 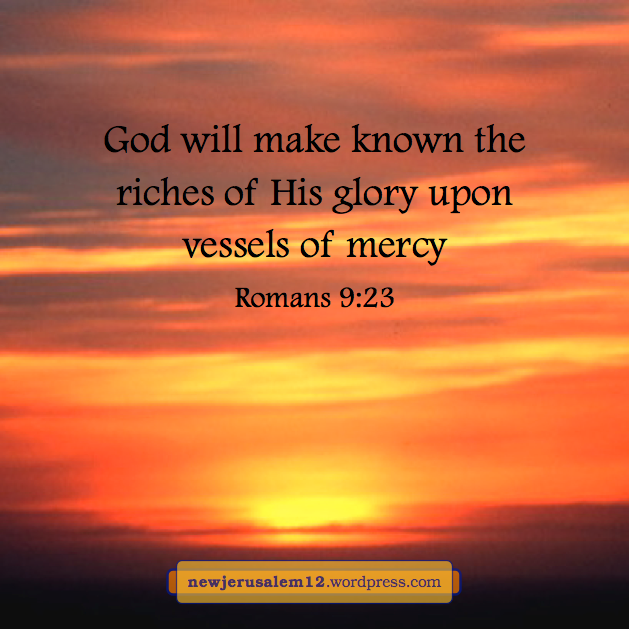 Romans 9:23 tells us that God will “make known the riches of His glory upon vessels of mercy, which He had before prepared unto glory.” Ultimately this glory will fill and radiate from New Jerusalem; unto glory implies unto New Jerusalem. The Bible presents our involvement with God’s glory in two views. One view is a gradual process with the Triune God’s operation—the Father’s leading, the Son’s washing, and the Spirit’s transforming. This process requires our cooperation. An example of our cooperation is in 1 Thessalonians 2:12. Paul told the believers that his care was “So that you might walk in a manner worthy of God, who calls you into His own kingdom and glory.” On one hand God calls us into His glory. On the other hand we cooperate by walking worthily of this calling. The other view is a completed fact, because the eternal God is not bound by time. An example is Romans 9 where God has prepared us before unto glory. Before what? Paul does not tell us what, so probably before means before everything, in eternity. Another example of God’s eternal view is Romans 8:30, “Those whom He predestinated, these He also called; and those whom He called, these He also justified; and those whom He justified, these He also glorified.” We think of predestination as complete but think of glorification as our future. However, in God’s view we have already been glorified. Conclusion: we need to cooperate with a proper Christian walk and by turning our heart to behold and reflect the Lord (2 Corinthians 3:16, 18). However, our glorification and our participation in New Jerusalem depend not on us but on the Triune God’s operation. God’s person and operation is our guarantee. God will “make known the riches of His glory upon vessels of mercy, which He had before prepared unto glory” (Romans 9:23). 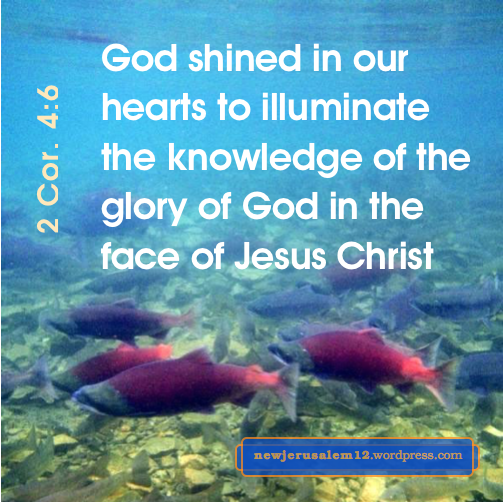 God having prepared us unto glory is God having prepared us unto New Jerusalem. God’s “making known the riches of His glory” will first be revealed when the Lord Jesus returns and ultimately in New Jerusalem. We are earthen vessels but we are also objects of God’s mercy. Because of His mercy we can repent and receive Jesus Christ as our life and our hope of glory. After repenting and receiving, “we have this treasure [Christ] in earthen vessels [us] that the excellency of the power may be of God and not out of us” (2 Corinthians 4:7). Because Jesus Christ is the effulgence of God’s glory (Hebrews 1:3), this glory is part of the treasure in us. This glory shines out through us to illuminate others (2 Corinthians 4:6). Today this shining is not physical but spiritual. It can be seen by those whose hearts God has prepared and who are willing in response to turn to God. 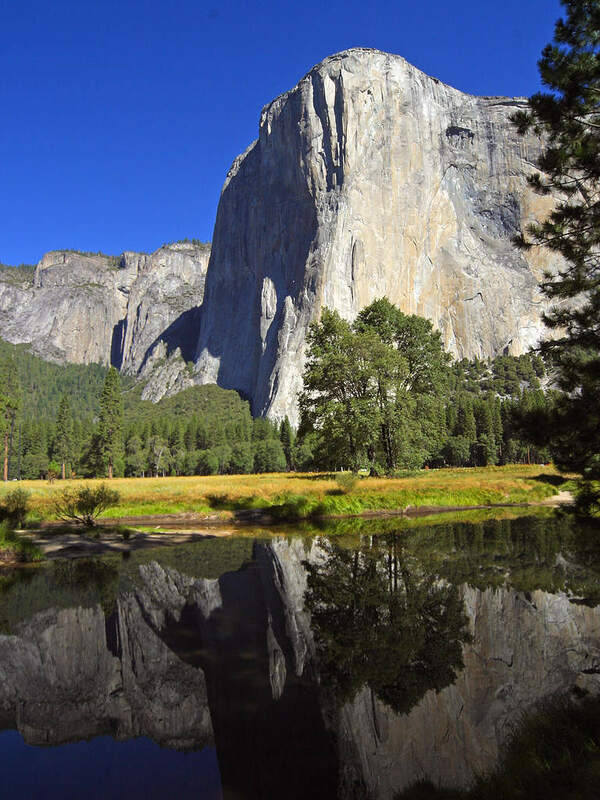 The shining out of us today is a little foretaste of the shining glory of New Jerusalem. When New Jerusalem is on the new earth, there will be no sin, no death, and no devil. Therefore, there will be no hindrance to seeing the full, bright glory of God. How wonderful that will be! Thanks to Be Overcomers for the photo, from their post on 2 Cor. 4:7. Revelation 21:23 says about New Jerusalem, “the city has no need of the sun or of the moon that they should shine in it, for the glory of God illumined it.” Here it seems that the glory and the city are separate, as a lamp illuminating a room. However, Revelation 21:11 describes New Jerusalem as “having the glory of God.” Here glory is an intrinsic characteristic of the city. We are not separated from this glory. 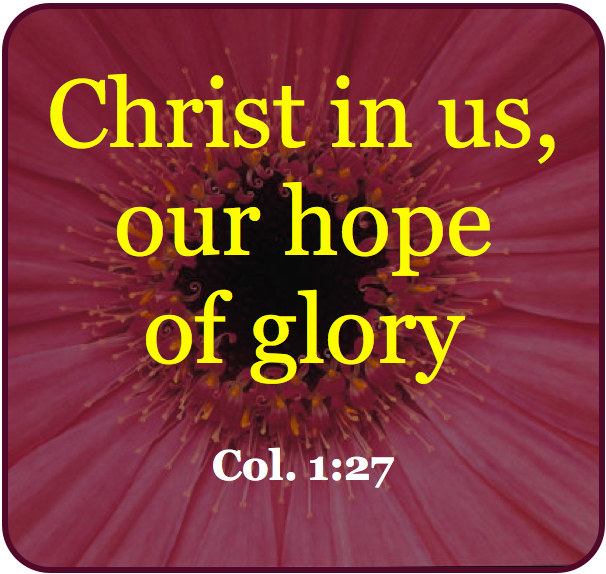 Rather, Colossians 1:27 speaks of “the riches of the glory of this mystery among the Gentiles, which mystery is Christ in you, the hope of glory.” Christ Himself, in us, is our connection with the glory of New Jerusalem. In human conversation “hope” expresses a desire without certainty. A student might say, I hope I can get an A in this class. A worker might say, I hope my new boss is better than my old one. In contrast, our hope of glory is secure and certain because this hope is Jesus Christ. Through Him we “we have obtained access by faith into this grace in which we stand and boast because of the hope of the glory of God” (Romans 5:2). Since “faith is the substan-tiation of things hoped for” (Hebrews 11:1), by faith we can boast (or rejoice) in this hope. Although this is still mysterious, we can boast/rejoice in Christ, boast/rejoice in His living in us, and boast/rejoice in His being our hope of glory. However, we are only earthen vessels (2 Corinthians 4:7), so we should not boast about ourselves. How wonderful that we have such a hope of glory, such a hope of the glorious New Jerusalem. Praise Him.